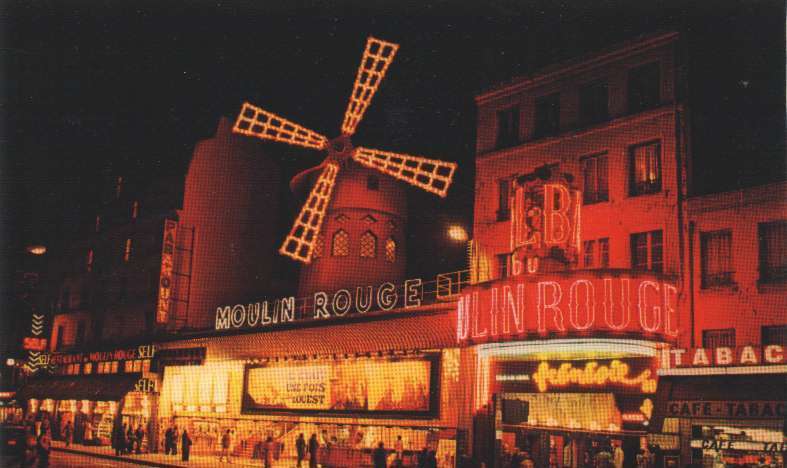 Monmartre, vintage posters, Toulouse Lautrec and … some great writing! A few years ago I gave a course on – yes, you guessed it – vintage posters. I thought that an interesting way of discussing posters would be to put them within the context of their specific time period, and so every week I assigned a short story or other reading that I thought would help the students understand the society and culture within which the posters were created. It proved to be an interesting exercise for all of us – myself included – and today, as I was cleaning out some files, I found some of those readings and thought I would share them here… with a view towards proving posterromance readers with some of that same context. (If you’d like a list of the readings I can probably dig them out for you). I really enjoyed reading a book called Recollections of a Picture Dealer, by Ambroise Vollard (it’s a Google Book and if you are interested, you can find it here). Vollard was the pre-eminent poster dealer in Paris in the late 19th and early 20th centuries. His client list and portfolio of artists was unequaled, as was his power. And his intellect! He had keen powers of observation, a very sharp wit, and a fabulous memory. Journee du Poilu is a favorite for all of us. A limited edition Lautrec from a series that was printed from the original plates. It doesn’t take too much imagination, after reading Vollard, to be able to picture the environment within which artists like Willette and Lautrec functioned. The images and expressions are so full of life and knowledge and awe of a sort, that all we have to do is close our eyes and dream of a throaty singer belting out a chanson d’amour while the artist, cigarette dangling, drink on the table, sketches the scene. Previous Easter bunnies, flying angels, flourless cakes and chocolate…. Next I Feel Like Pig-Pen!